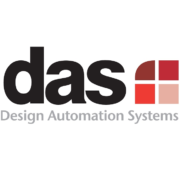 Based in the Midlands, DAS are specialists in the automation of engineering design processes. For 15 years we have been helping customers to achieve fast, high quality design processes both to support the sales process and detailed engineering. We are both a specialist Autodesk partner focusing on their ETO products, as well has having our own .NET based automation platform. Our customers are spread across many fields with diverse products that have included: pre-cast concrete wall and floor systems; large pressure pipe layout and design; modular foundation systems; plant room and modular services design and detailing; exhibition stand design; electrical distribution systems; hospital room configuration; furniture layout visualisation and costing and even airport signage design. Because our staff are experienced engineers and software designers we are able understand and capture engineering workflows using our specialist software platforms, usually quickly and at a price that provides a very fast return on investment. The design process if not supported by any off-the-shelf software. If you have processes like this, please get in touch.